For paint rollers and brushes can last you a while if you care for them properly. Do you have a painting project on the horizon? Unless you are well-stocked already, you are going to need to go out and invest in some high-quality paint supplies if you want the best results possible. It’s a real shame that people will spend a lot of their hard-earned money on painting supplies, without knowing how to preserve them once they have finished their project. Your painting supplies should last you awhile if you know how to care for them. Here are some helpful tricks on preserving paint rollers and brushes. The edges of paint rollers can become rough over time. If you notice this is the case for your paint rollers, you should take a pair of scissors and cut them off. If you leave them, they will leave unwanted tracks on your walls. Trim off the edges of your paint rollers, and they should be good as new! This is where many people go wrong. You never want to wait to clean your paint brushes. Once you have finished your painting project, you immediately want to get your brushes under water. By doing so, you are only helping to preserve the life of them. 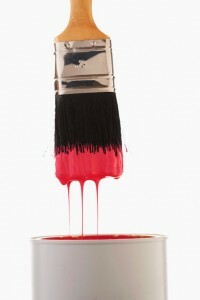 After you have finished cleaning your paint brushes, you should soak them in a cleaning solvent. It is important to note that you want the bristles to touch the bottom of the container. This is because the bristles will bend and may damage the brushes. A simple trick to prevent this would be using some a clip. Use it to attach a paint brush to the inside of your container without it touching the bottom. A lint roller is a common household item. Most people are not aware they can be a great tool for painting projects. This is because paint rollers typically contain a decent amount of excess fuzz. This loose material will get on your walls as you are painting and ruin your results.